Judaism is crucial for how IDF soldiers comprehend their role as soldiers and share their experience, as well as providing them with the worldview that locates their role as individual soldiers within a larger framework of collective meaning. This applies not merely to the minority of religiously observant recruits, but also among the remaining conscripts. Although dissension exists amongst scholars over to what extent religion per se is in decline, it is widely held that the age in which we live is characterized by various degrees of individualization and fragmentation. Whereas civilians seem to have more choices to make with regard to religion and meaning systems, conscript armies do select, recruit and train their manpower in order to implement their primary function as providers of state security. How does religion and cultural context feed into this and how do soldiers come to view the institution they are recruited to represent? In other words, how do soldiers find meaning in their role as military representatives? My study explored these questions and quandaries within the empirical context of the Israel Defense Forces (IDF), based on 34 in-depth interviews with soldiers from the infantry battalion number 50 – the Gdud 50. According to a report published in 2007, 78.6% of the Israeli population is loyal to the army. As the military force of the state of Israel, the bond between the IDF, Judaism and the Jewish people is strong. Both the state and the army have adopted symbols that stress the association with the partly historical, partly mythological - and undoubtedly symbolically loaded - House of David. Israel’s white and blue flag, the Degel Lavan, removes any question of religious affinity, and the IDF’s tripartite symbol is visually equally strong: a sword and an olive branch in the middle of the Star of David point to the army’s responsibilities for both martial action and provisions of peace, while at the same time signifying how the IDF is a representative of the Israeli-Jewish religion and culture. The five announcements made by the IDF Spokesperson on October 6, 2008 provide one telling example of how the IDF’s meaning system cannot be understood if removed from its Israeli and Jewish context. The first concerned a military training exercise, but the next four, including such headlines as, ‘Apples and Honey for a Sweet New Year’, ‘The Chief of Staff and the Defense Minister held a ceremonial toast to the new year and the Rosh Hashana holiday’ and ‘An Army of the People’ pointed to quite a different reality. Based on a combination of official documentation from the IDF and interviews with soldiers in the 50th Battalion, the data clearly indicates that Judaism – understood both as theological postulates and cultural heritage and traditions – plays a critical role in how the IDF recruits come to terms with soldiering. This article will first explore the IDF’s moral and ethical framework as portrayed in the IDF’s code of conduct; then analyze the role of religion in the soldiers’ statements about this code; followed by an analysis of the rituals that enhance the sentiments and opinions detected in the interviews. If you ask me – I think the army is very religious. Very religious. They may pretend that they are not religious, but that’s not right. They are super religious. But it is awkward, because many of the soldiers they are proud of, they are not religious. You know what, especially in Gdud 50, most would learn about the religious mitzvot [Jewish commandments] for the first time in the army. We knew nothing before we came into the army. But, in the army, it is like we go through a religious education alongside the military training! Hehe, it was actually also the first time I met a settler. YES, it is true! The first time! The Gdud is secular, yes, so we don’t hang out in the territories. Why should we? […] I’ll tell you what – the settler became like a rabbi for us. We had to do all kinds of religious stuff, and we had no idea how to do it. Like, how do you keep a real Shabbat, for example? And how do you do any mitzvot? What are the mitzvot – I didn’t even know that ("Yaron" 05/04/09). This battalion allowed me to explore how religion works not merely in the minority of religiously observant recruits, but also among the remaining conscripts. 1. The tradition of the IDF and its military heritage as the Israel Defense Forces. 2. The tradition of the state of Israel, its democratic principles, laws and institutions. 3. The tradition of the Jewish People throughout their history. 4. Universal moral values based on the value and dignity of human life. “All of them” refers to a large, heterogeneous group of roughly 176,500 ground forces. The IDF bases its recruitment on universal conscription, calling up both men and women, those who practice religion as well as secular citizens of the state of Israel. The IDF takes great pride in being a ‘People’s Army’, and strives “to promote a religiously tolerant environment.” Needless to say, this creates an inherent tension in the IDF, in which secular and religious meaning systems potentially collide. The four sources of the basic code of values have to be wide in their embrace in order to be inclusive. Despite this obligation, the third source stands out: whereas the others refer to institutionalised, secular regulations and value systems, the third source states that the IDF is inextricably linked to one people and therein to a specific religious and cultural heritage. Thus, it is implicit in the document that the IDF does not represent the de facto ethnically, culturally and religiously heterogeneous civil society of the state of Israel in its entirety. With all these inherent and potential points of friction, the question remains: how do the soldiers perceive the code? Religion in general and Judaism in particular provides a potential framework for their experiences. And indeed, my research shows that it is the third source that defines the IDF’s combat soldiers’ understanding of their very role as soldiers – including the secularists among them. Whoever we are, we do not exist as isolated individuals, but belong to a hierarchy of social and cultural groups. All the men I interviewed had one distinct feature in common: they are Jewish soldiers in the IDF. In the military setting of the IDF, the conflict with the Palestinians must contain a dimension of identity contestation and defence. As I will show, one consequence of this is that Judaism provides a source that the soldiers come to understand as the defining element for which they are prepared to fight, kill, and die. What?? The Ruach Tsahal is Israeli. But it is more than that. It is Jewish. Of course! What else! It is for us, to protect us. We are soldiers in the IDF, so of course we are Jewish! It is the IDF! It is incredibly important for the IDF – and for us – that the army keeps Judaism up. Israel is our country. It is a part of us. It is a part of every Jew. The Ruach Tsahal is a feeling, it is a way of being a proper Jew, so being an IDF soldier – you must feel it ("FocusGroup" 05/04/09). Here, we begin to see how the military has encouraged the attitudes and emotional repertoire of its soldiers through a specific sentiment; the feeling of being and of acting Jewish. This reflects one striking feature of the Gdud 50 soldiers’ notion of Ruach Tsahal, namely the fact that the soldiers’ military action is regulated by emotional and experiential constraints, and not by legal boundaries. IDF soldiers are trained in ethical codes; not in international law. According to one IDF official I spoke to this is problematic but nevertheless highly efficient: “Ethics is much more fluid. It is emotional, in a way. But it doesn’t give you firm guidelines. So, even though soldiers know everything about ethics, they still don’t know anything about law. That is, they don’t really know what is wrong and what is right. But that’s okay: international institutions only bring confusion” ("Yitzhak" 07/04/09). The IDF therefore operates in line with recent revisions in military thinking, which suggest that “concerns of ethics and efficacy are increasingly congruent”, as ethics are internalized through the reorientation process that occurs when recruits turn into soldiers. Through this emphasis on cultural affiliation, the Ruach Tsahal provides the Gdud 50 soldiers with a particular meaning system with an inherent set of guiding principles: “There is so much focus on us, you know. So we try to be our true selves – to act as a group in as humane a way as possible…. We are ethical! It is simple. Like, we try to behave as ethical as possible, even in the most bizarre situations. You know, you see things and you do things that aren’t – well, you know they aren’t right” ("Haim" 07/04/09). These soldiers’ expressions of a deep-seated pride in the very existence of the code is for them bound up with its Jewish roots. A common phrase in this regard may be exemplified through the words of Gilad: “It is important – no, more than that - it is crucial that it is Jewish, that we have a Jewish code. Not just any code. When it is Jewish, it is us, you know. This is definitely a unique case – it is pretty unbelievable, actually” ("Gilad" 07/02/08). To sum up: the Jewishness of the Ruach Tsahal provides the axis around which the other principles circulate. Accordingly, the code provides the soldier with a general military directive situated within a specific cultural context. A Jewish or a universal code? The sources of the code imply an inherent tension between universality and particularity with its simultaneous references to, “The tradition of the Jewish People throughout their history” and to “Universal moral values based on the value and dignity of human life”. Moreover, the “tradition of the Jewish People…” is a curiously vague formulation. The question remains: Is the code Jewish. And if so, what makes it “Jewish”? Interestingly, the soldiers responded in a highly similar vein that reflects a top-down conveyed, religious narrative emphasizing the Jewish dimension at the cost of the universal: “What it means – it is not so complicated: we are the or-la-goyim, you know. Ha ha ha. No no, I don’t believe in that religious stuff. But, we do have a responsibility that others don’t. 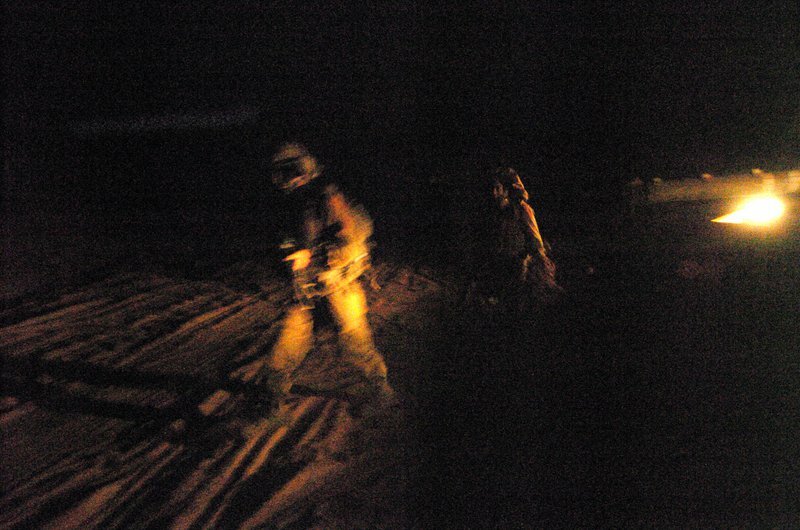 The Ruach Tsahal is about how you can be in the army, be a normal state and still be a full human being and be an ethical human being – to be an ethical soldier…. You know… We have a long tradition of being moral, of fighting ethically. We have like a mission, an aim, to make a better world. That’s what we do in the IDF: we can change the world to a better place” ("Nadav" 05/02/08). From this we see that the Ruach Tsahal emerges as meaningful when seen in relation to the issue of “The tradition of the Jewish People throughout their history”. It feeds into what might be considered an overall ‘IDF cosmology’, which contributes to providing the soldiers with meaning in their role. There may be many reasons for the unison in the soldiers’ statements. For example, they are part of the same battalion, undergo the same teaching, and they are Jewish, Israeli citizens. The manpower of the 50th Battalion is recruited from either the ideological and agricultural settlements or from Israeli youth movements which means that the battalion is staffed by soldiers who position themselves on the centre-left of the Israeli political spectrum and who are generally not practitioners of religious rituals. They thereafter pass through a particularly strenuous selection process. All these factors will contribute something towards creating a common referential framework. They do not, however, provide a satisfactory explanation to why the soldiers to such an extent speak with one voice. Why do they express sentiments that have such explicit religious roots? Merely encouraging the internalization of a military Code based on a general collective identity would not normally ensure that this would be the case. So how does the IDF build on this mechanism to encourage this collective mindset amongst its recruits? The IDF is in a remarkable position: the institution possesses a rich religious and cultural repertoire that constitutes a forceful meaning system, which offers a rich resource for the creation of shared experience when exploited in full. Turning from religious discourse to the IDF’s institutional framework, we can see how this works, both within its organizational structure as well as the rituals that are practiced under the IDF canopy. The IDF is a conscript army with explicit nation-building tasks, and has thus integrated the Education Corps into its structure, which among others is responsible for educating IDF recruits on issues such as the tradition and history of the Jewish nation and the battle history of the IDF from pre-state Israel until today. A female officer interviewee in the Education Corps summed up the contents of this teaching as “conveying the meaning of defending Israel’s and Israel’s people’s existence, to teach them about holocaust, Zionism and of course the Bible and sources of our special bond to ha-aretz [Israel] in order to enable them to be convinced about the IDF’s mission...” ("Shira" 07/04/06). In addition to military tasks, the IDF has institutionalized the maintenance and commemoration of a cultural tradition. This in turn has its impact on the IDF’s organizational structure. Based on Ben-Gurion’s credo – i.e. that both religious and secular citizens have equal civil obligations – “the entire IDF framework had to be structured in ways which would not alienate religiously observant troops by requiring them to contravene the dictates of traditional Jewish law” (Cohen 1997: 42). 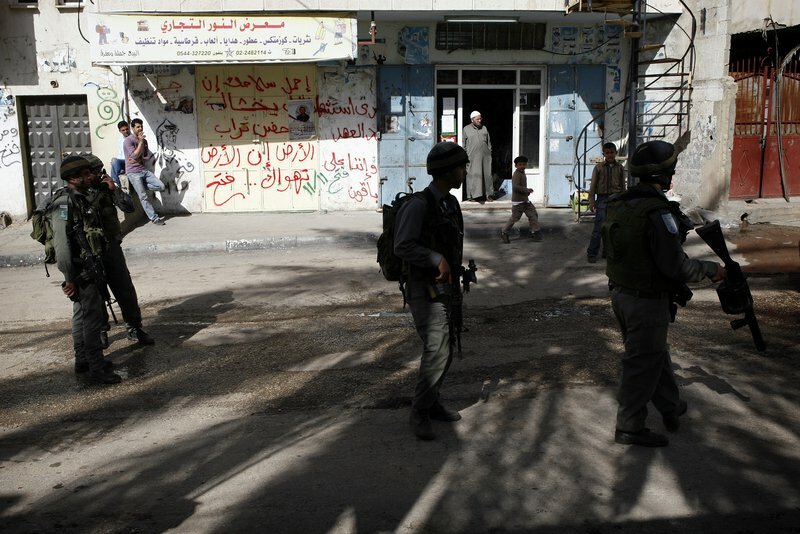 The IDF is organized to allow for – and regulate – military action in coordination with religious praxis. Among the most explicit organisational consequences is the establishment of the Military Rabbinate. A unique feature of the IDF set-up is the inclusion of the Chief Military Rabbinate as a separate brigade with its own military emblem. The Rabbinate was founded at the establishment of the IDF in 1948, after a national religious political party claimed that the interest of their constituents in uniform required the establishment of a military chaplaincy, a request embraced by Ben-Gurion (Cohen 1997: 43). The Rabbinate works in coordination with the Human Resources Branch and has as its three core responsibilities; ‘Matrimony and burial’, ‘Keeping kosher and keeping Shabbat in all IDF bases’, ‘Education about Judaism and tradition’ (IDF 2010). In addition, the Military Rabbinate also issues advice and commands which instill religious values and traditions in the IDF units, and acquire and provide religious artifacts for religious units in the IDF (IDF 2010). It is worth noting that, “According to law, each unit in the IDF must have a representative of the Rabbinate advising them.” These representatives have the responsibility of catering for all the religious needs of the soldiers in all units, extending their tasks to, “addressing the needs of the entire military organization and not those of just a small percentage of the overall complement” (Cohen 1997: 46). Within the Chief Military Rabbinate, each of its tasks in turn exemplify how Judaic religious practices are integrated into the daily life of IDF soldiers. For example, all food in the IDF is Kosher Parve: the Military Rabbinate ensures that all food supplies to IDF bases are manufactured in accordance with Jewish religious law and Jewish religious regulations, which means that all food eaten by soldiers of the IDF is under the supervision and inspection of the Military Rabbinate. The observance of dietary laws in the army is legitimized by emphasizing the lack of hardship involved in non-observant soldiers eating kosher food while the alternative policy creates severe hardship for many soldiers. The IDF emphasizes the significance of this responsibility by explaining that, “The fact that all military kitchens are kosher promotes unity among all those serving in the IDF” (IDF 2010). On the one hand, the IDF justifies the observance of dietary laws in the army on the grounds that it forges a bond with the past of the Jewish people by means of one of the most conspicuous of Jewish symbols. At the same time, the introduction of kosher in all IDF bases affirms the IDF’s “Jewishness”. As Oren explained, the Tfilat ha-derekh is a short, general prayer about both leaving in peace, coming in peace and having a safe return. Nevertheless, although it is not originally a prayer with an explicit military purpose, the soldiers experience it as such: they sense a deeper message – and the very fact that it is being recited right before a military mission – as comforting, calming. This confirms a function of religion that scholars have acknowledged, namely that religion contributes to locating the individual in a larger cosmos of meaning. Rituals are crucial to the construction and maintenance of religious communities. One dimension that helps to explain the unity and commitment found amongst these soldiers lies in the extensive application of rituals which reinforce the social order and the meaning system and are also public occasions that display and confirm social and cultural structures. Judaism places particular emphasis on the obligation to fulfil religious practices and the role of religion is perhaps at its most explicit in the rich ritual life of the IDF. While the IDF strictly observes all the feasts in the Jewish calendar, as the army of the state of Israel it follows that the IDF also observes Israel’s national holidays. This participation in a series of feasts in a ritual setting contributes to the cohesion and bonding between IDF soldiers. The celebration of explicit Jewish religious feasts range from the weekly Shabbat to rituals with a yearly cycle such as the religiously based Yom Kippur and Sukkot. These feasts are also celebrated in the civil sphere of the state of Israel; for example, during Sukkot also non-practicing or secular families may build a Sukkah in their garden. Many of these feasts are thus just as much about participating in national customs as about partaking in the fulfilment of the mitzvot. Shabbat is a prime instance: according to the Israeli Ministry of Foreign Affairs, it is first and foremost a day families should share together, and in consequence the army allows “as many soldiers as possible to go home”: so, no surprise that David in the secular Gdud 50 thinks “Shabbat is good news” ("David" 06/02/08). In the military camps, soldiers share the Shabbat meal together and generally enjoy a day of rest. Despite the fact that not all the soldiers share the more profound religious meaning attributed to this day – soldiers tend to describe the day in highly functional terms: “The old guys [the Rabbis in the Rabbinical Period; 70-500 AD] were clever. Very clever. They fixed up a system that is really excellent. Say for example, when it was established that you should rest one day per week – well, you need to rest one day per week, otherwise you’ll just burn out. See?? It’s brilliant!” ("FocusGroup" 05/04/09) - this day when soldiers spend time together and eat together nevertheless has a significant impact on the bonding amongst them. The IDF also marks the secular Israeli national days such as Yom Ha-zikaron (literal translation, “Remembrance Day”), which is “a day of remembrance for those who fell in the struggle for the establishment of the State of Israel and in its defense” (Israel(MFA) 02/05/2000), and Yom Ha-atsma’ut, Israel’s Independence Day, celebrating the day Israel was founded on 14 May 1948. These holidays are initially secular, commemorating for example the sacrifices of the IDF soldier or the shared national history of the Jewish population in Israel. Yet, the celebration of them is described in highly emotional terms by the soldiers. For example, the fire inscriptions – that is, when the word Yizkaru (“We will always remember”) is lit in barbed wire in the middle of the night - is undoubtedly a powerful and moving event. In contrast to purely religious rituals that obviously mean different things to seculars versus religious groups of the population, these two rituals appeal to the emotions of what unites them: namely, being Jewish, and being soldiers. The IDF does not observe the national or religious holidays of any of its minorities, such as e.g. the Druze or the Bedouin, creating a potential problem concerning the integration of other ethnic and religious groups into the IDF. A third set of rituals mark transition within the military, such as inauguration or promotion. These rituals provide – as do religious rituals – highly functional mechanisms for fostering soldier loyalty to the military. Within the IDF framework these rituals have an added religious dimension, connecting the Jewish people to a common cultural and religious history, as well as to a particular scripture and a mythical framework. One striking example takes place on the day of inauguration: inauguration rituals signal the esoteric character of military communities, as membership is limited and requires selection procedures, and restricted information flow. In the IDF, these rituals are held at specific sites that are integral to the Jewish cultic space, such as the Wailing Wall in Jerusalem or the Military Memorial site in Latrun, right outside Jerusalem. During the ritual, a Military Rabbi recites the excerpt from the text of Joshua in which Joshua conquers the Land [Eretz] by force. Soldiers are sworn in while holding their right hand on the Talmud. In fact, none of my interviewees recall what was said during this process. However, what they do remember is the very end of the event when the soldiers receive two things: their personal gun and their copy of the Torah. The inauguration ritual not only marks their initiation into a military institution, but also signals the initiation into a community that is first and foremost Jewish. It reconfirms previous Jewish initiations in the non-military sphere, such as Brit Milah [circumcision ] and the bar-mitzva, and what it establishes is that the recruit takes a step out of Israeli civil society, into the esoteric Jewish community of the IDF. Another memorable ritual takes place during Basic Training, when it has been common to include a trip to Masada. Here, the soldiers climb the mountain at night, reaching the top right point before dawn, from where they see the sun rise above the West Bank – or, the Judean and Samarian Hills – and are told about the heroic myth of the Jews who committed collective suicide to prevent themselves from being taken hostage by the Romans. The credibility of the Masada-narrative is increasingly questioned by scholars. Nevertheless, the soldiers report that this is a highly emotional event that ignites a particularly strong bond between themselves and their forefathers, which in turn inspires them to fight to protect their nation. What do these military rituals have in common? Both the scripture of Joshua and the narrative of the Masada are based on the myth of the powerful, insuperable Jewish nation. They have had a tremendous role in preserving our culture up through a tough history. They have made us not forget, to be Jews, not like everyone else. Personally, I don’t do all the rituals. But I want the religious [Jews] to feel welcome. And, it is nice! Like – they do a prayer before we go to a mission. Or, we eat together on Shabbat and some pray while others listen to their iPod. Then we discuss religion and many times I don’t agree in the whole God-stuff. But they [the religious] are important for remembering who we are. You know; it is they who are actually practicing something that we all are in debt to, you know. They have brought our culture forwards. They have had a tremendous role in preserving our culture up through a tough history. They have made us not forget, to be Jews, not like everyone else ("FocusGroup" 05/04/09). Being part of a religious community is not necessarily about faith or theology; it is a matter of culture and tradition, and “being Jewish” refers to members of both a religious community as well as a national community, which enables such “prefixes” to the term as being a “secular Jew”. This is something the soldiers are highly conscious about: “We are Jewish in the IDF. That can be many things. But it is not just about soldiering. I learned a lot about who I am and what it means to be Jewish while being in the army. It gets under your skin, it really does, it – it is to be Jewish… I can’t really explain it…” ("Yaron" 05/04/09). Both religious meaning systems and the soldiering role are inherently collective: they presuppose a community. For the soldiers, this is first and foremost symbolised through the uniforms, but equally strong is the creation of a collective consciousness, leaving little room for individual contemplation and voicing of opinion. They do their tasks not as individuals, but as actors that are representatives of an institution. Nevertheless, despite these attempts at creating coherence between the collective and the individual, the military socialisation system never works quite as perfectly as intended. It meets resistance, is tense and contradictory and recruits do experience internal conflicts during the process of becoming soldiers. At the core of the dilemma is the contradiction that whereas individuals should not kill, the soldier may have to. Soldiers may be trained to kill, but living with this as a person is something else. “You cannot be individual about these things” is a sentence I often heard throughout the interviews. Soldiers in the IDF are in a rather peculiar situation. Much of the IDF’s activity is subject to great controversy internationally. As the IDF is a conscript army, most of the IDF’s military activity is conducted by regular recruits, not by professional soldiers. Among the most direct consequences of this is that the recruits are performing their tasks literally with the lens of the international press in their faces: several of my interviewees have found their picture in the international press. This accentuates the distinction between the uniform and the individual. When asked to comment on how they experience this, Gidi replies: “It is not me you see there… well, I know it is me, but it really isn’t. I wish the press could see that. It is me, but it is not. Isn’t that quite clear?” ("Gidi" 18/06/07). This response highlights the inherent friction between having an independent worldview and accepting an institutional meaning system. In the production of soldiers, these two dimensions inevitably collide. Matching these two levels is indeed the aim of all military socialisation processes. In the case of the IDF, this is not merely about recruits accepting a new role; it also has profound political implications as religion and controversy are intimately linked. On a collective level, the social and cultural consciousness of the IDF soldiers is encouraged on the basis of experiencing oneness with a people and their culture. The IDF plays on wide, inclusive core symbols in the Jewish tradition. 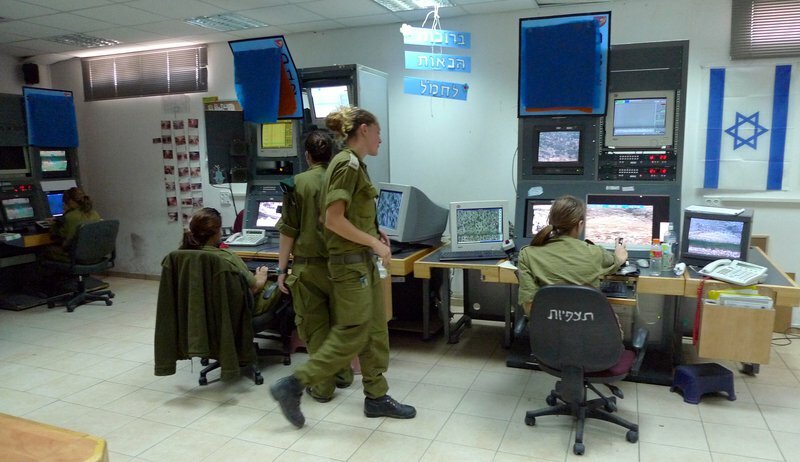 However, the interconnectivity between Judaism and the IDF’s meaning system also brings with it inherent tensions. Most of the IDF’s activity occurs in the West Bank, a territory that many Jewish groups consider as particularly significant due to the symbolic status these territories have amongst various Jewish groups. Accordingly, IDF activity inevitably runs into the heated conflict on the role of the Jewish settlers in the West Bank. Whereas, for example, the individual recruit may oppose Israeli settlement expansion, the collective soldier in the IDF may be set to do aftachim i.e. settlement protection. Thus, while religion on the one hand provides the IDF with a constructive potential for community building, it also accentuates fault lines. What is it that soldiers fight, die and kill for? The increasing expectation of individuals to exercise their autonomous judgment in choosing what to believe is counter-productive to military functionality. Uncertainties in any moral and social order both provide possibilities for new worldviews to emerge and may disrupt loyalty, streamlining and hence efficiency. Accordingly, all militaries face the dilemma of how to rework the ethical and moral frameworks of any previous socialization. Turning recruits into soldiers includes the reformation of ethical, social and cultural consciousness, so that the recruits internalize the military’s collective meaning system. The military must counteract any adverse trends in civil society. The questions are thus both at the institutional and individual level: how does the military manage to overcome this challenge and how does the individual recruit respond to the role he or she is placed in? Post-modernity’s “fragmentation” should not be juxtaposed with “free will”. Individual choices take place in contexts that identify people as the kind of individuals who are capable of making certain choices. Factors such as state agencies, courts of law in combination with the cultural context, provide a limited set of possible options. The IDF is an extraordinary example. Despite being caught in-between these counteractive trends, the IDF manages year after year to produce highly motivated soldiers. In fact, the IDF soldiers’ degree of combat motivation is referred to as their “secret weapon”. As we have seen in the exploratory analysis above, the IDF possesses a rich repertoire of religious components that are exploited in order to create a relatively solid collective meaning system founded on Judaism. General and fundamental themes in the Jewish religious tradition play a crucial and constitutive role. In addition, we have seen how the continuous presence of the rabbis, coupled with the implementation of the Chief Military Rabbinate’s directives, contributes to making religion an integral part of all IDF soldiers’ lives; not just those who are already religiously observant. In many ways, religion is an integral part of the whole institution and constitutes a basic building block for the fundamental meaning system it represents. “I stopped being Zionist after the army, I guess. It is weird here. It is like you are Zionist by default. “What else could I be in Israel” says Israelis. But – you are not born with an ideology. The IDF is for all of us. So how can it be so damned Zionist? I don’t look at it like that. I am Jewish. And I am an IDF soldier. It is an obvious connection. I could not imagine a Jewish, Israeli life here in Israel without having served in the IDF. I don’t know what I would – or could – do. With the IDF, I feel much more Israeli than before. I am Jewish, and now I know what we’ve gone through. It is not really just an intellectual thing. It is now also a physical thing, in a way. I have seen, I have lived, I have also suffered and I have tried to prevent our suffering from happening again” "Uzi". 24/06/09. So, we are left with the question of what it is that soldiers come to understand as the thing for which they are prepared to fight, kill, and die. In the IDF’s meaning system we can identify two overlapping answers. At the most immediate level, it is the state of Israel as a Jewish state. At the broadest level, it is the totality of Jewish history and tradition. The first is a political entity, albeit one that has certain religious resonances built into it. The second is a religious entity that finds its political instantiation in the first. Presumably, even a soldier who was most determined to fight only for his country will inevitably be drawn into some set of associations that construed the state in less-than-secular fashion, and all soldiers would be led to invest their service with more-than-secular significance, with varying levels of intensity that reflect their different prior levels of religious commitment. The military thus fosters a certain diversity, but it is a diverse spectrum along the scale of religiosity, not one of different religions or one that admits of no religiosity at all. As a cultural agent, most militaries have to protect their societies while maintaining a distinct set of norms or values other than those of its host culture. These are institutions that must strive to foster cohesion and common motivation among their members. What seems remarkable about the IDF is that it is able not to break with the value systems of civilian society, but rather to draw on them to build cohesion amongst its individual recruits. The religious meaning system it deploys lends a particularly strong rationale to this work of fostering and bolstering individual recruits’ motivation to fight in the IDF. The IDF’s meaning system has a built-in ambiguity, mediating between being inclusive to all and still meaningful and coherent. Although applying a series of Jewish symbols, narratives and values to the construct, there is little doubt that these do not mean the same to all Jews. Judaism is a wide religion with a number of ‘sub-traditions’ – some even questioning the claim that Judaism constitutes one religious family – and Jewish-Israeli recruits in the IDF accordingly represent highly diverging cultural groups. ‘Jewish’ as applied to the IDF is a very wide label and obviously means something quite different to orthodox Jews in a West Bank settlement from its significance to a secular ‘Tel-Aviv’ian’ Jew. Nonetheless, it unites the members of the IDF into a community that separates them from other ethnic and religious groups. These symbols are widely inclusive only for a certain ‘in-group’. The IDF is in effect performing a balancing act, representing a taxonomic meaning system based on a wide definition of Judaism in which only the most broadly inclusive aspects are integrated into the daily life of the institution. In this way, religion can highlight the unity of identification between the military institution of the IDF with the state of Israel, the Jewish People and also Judaism. "Amos". 06/02/08. "Sergeant, Education Corps, Gdud 50." Pp. Interview. Ashkelon. "Arieh". 03/02/08. "Commander, Gdud 50." Pp. Interview. Tel Aviv. —. 2008. "Commander, Gdud 50." Pp. Interview. Tel Aviv. "Aviram". 31/03/09. "Previous Paratrooper, IDF." Pp. Interview. Ra'anana. "David". 06/02/08. "Interpreter, Gdud 50." Pp. Interview. Tel Aviv. "Eytan". 02/10/08. "Commander, Gdud 50." Pp. Interview. Tel Aviv. "FocusGroup". 05/04/09. "Snipers, Semi-Snipers and Tankers in Gdud 50 in the IDF." Pp. Interview in a Kibbutz in Southern Israel. Negev. "Gidi". 18/06/07. "Combat Soldier, Gdud 50." Pp. Interview. Tel Aviv. "Gilad". 07/02/08. "Sergeant, Education Corps, Gdud 50." Pp. Interview. Tel Aviv. "Haim". 07/04/09. "Commander, Gdud 50." Pp. Interview. Tel Aviv. "Meir". 05/04/09. "Commander, Gdud 50." Pp. Interview. Kibbutz, Southern Israel. "Misha". 05/04/09. "commander, Gdud 50." Pp. Interview. Kibbutz, Southern Israel. "Moshe". 10/02/08. "Sergeant, Sniper, Gdud 50." Pp. Interview. Bar Ilan. "Nadav". 05/02/08. "Commander, Gdud 50, IDF." Pp. Interview. West Bank. "Nir". 05/02/08. "Commander, Gdud 50." Pp. Interview. Modi'in. "Oren". 05/04/09. "Commander, Gdud 50." Pp. Interview. Kibbutz, Southern Israel. "Shira". 07/04/06. "Education Corps Officer, IDF." Ra'nana. "Tzvi". 04/10/08. "Sniper, Gdud 50." Pp. Interview. Tel Aviv. "Uzi". 24/06/09. "Combat Soldier, Gdud 50, IDF." Pp. Interview. Jerusalem. "Yaron". 05/04/09. "Commander, Gdud 50." Pp. Interview. Kibbutz, Southern Israel. "Yitzhak". 07/04/09. "Previous Brigadeer Commander in the IDF." Pp. Interview. Tel Aviv. "Yoram". 13/06/07. "Sniper, Gdud 50." Pp. Interview. Modi'in. Cohen, Stuart A. 1997. The Scroll or the Sword? Dilemmas of Religion and Military Service in Israel. Amsterdam: Harwood Academic Publishers. IDF. 2001. "Ethics / Ruach Tsahal." Jerusalem: IDF. —. 2010. "Chief Military Rabbinate." Jerusalem: Israel Defense Forces. —. n.d. "Education Corps." Jerusalem: Israel Defense Forces. Israel(MFA), Ministry of Foreign Affairs. 02/05/2000. "Remembrance Day - Independence Day - Selected Readings." in MFA History of Israel. Jerusalem: Israel Ministry of Foreign Affairs. Israel MFA. 27/01/99. "Jewish Society in Israel." Pp. edited by Israel Ministry of Foreign Affairs. Jerusalem. Sabra is a Hebrew term for native Israel; Olim Chadashim is the plural term for “new immigrant”. I asked Haim to amplify his statement: “When we take a house, for example. It is an awkward situation. It is uncomfortable for both sides! And of course – we know that. I mean, it is not that we as soldiers are not aware of the absurdity of the situation. But, soldiers are forced to act in such an environment. It is what we do. So, well, then you have to make the best out of the situation. Therefore, we usually get intelligence about which house to go to and strive towards avoiding uncomfortable situations to the best of our ability”. Or la-goyim: A Hebrew, Biblical term meaning “Light of Nations”, understood in biblical terms as the Jews’ obligation to build a just and compassionate society throughout the world rooted in the Land of Israel. That the Military Rabbinate has acquired such a crucial role in the IDF has been an issue of increased concern, lately above all in relation to the “Operation Cast Led” in Gaza in the winter of 2009 Bronner, Ethan. 22/03/09. "A Religious War in Israel's Army." in New York Times. New York; Freedman, Seth. 06/07/09. "Religious dogma has no place in the IDF." in The Guardian. London; Harel, Amos. 2008. "Chief IDF Rabbi: Army rabbinate needs to inculcate Jewish values." in Ha'aretz. Tel Aviv/Jerusalem; Wagner, Matthew. 08/01/09. "IDF Rabbinate uses scriptures to boost soldiers' morale." in Jerusalem Post: Online Edition. Jerusalem.. The exact location of the inauguration ritual varies from unit to unit, and from time of year, logistics etc. The recitation of Joshua has received some criticism from Israel’s secular population, as has the role religion should have in the IDF. See e.g. Golan, Aviram. 23/11/03. "What is Joshua doing in the Army?" in Ha'aretz. Jerusalem. Bronner, Ethan. 22/03/09. "A Religious War in Israel's Army." in New York Times. New York; Golan, Aviram. 23/11/03. "What is Joshua doing in the Army?" in Ha'aretz. Jerusalem; Harel, Amos. 11/05/2008. "Kfir brigade leads in West Bank violations." in H'aaretz. Tel Aviv / Jerusalem; —. 2008. "Chief IDF Rabbi: Army rabbinate needs to inculcate Jewish values." in Ha'aretz. Tel Aviv/Jerusalem. Whereas the observant sector advocates determining a Jew in strict accordance with Jewish law, secular Jews generally support a definition based on civil criteria. The Israel MFA has often stated that this is problematic: “These conflicts of interest have given rise to a search for legal means to define the demarcation between religion and state. Until an overall solution is found, authority lies in an unwritten agreement, reached on the eve of Israel's independence and known as the status quo, which stipulates that no fundamental changes would be made in the status of religion” IsraelMFA. 27/01/99. Jerusalem..